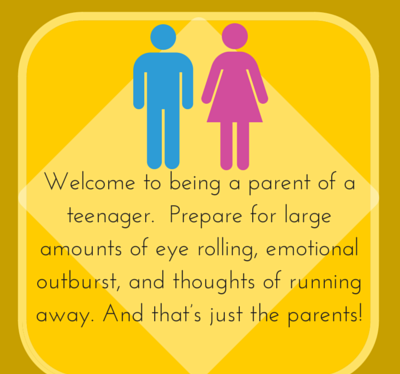 Teenage is the most complicated period that parents have to face while raising their kids. Teenagers argue, defy and are rebellious in many cases. So things are quite tricky in this age and parents are supposed to deal with care. Here we have handpicked some meaningful and realistic parenting teenager quotes to look closely what parents have to go through in raising their teens and what is the best they can do for their kids. Something that all the teens do! Raising a difficult child makes you a good parent. An adolescent child is barely at home. They hang out with friends all the time. Teenagers believe that they know everything. Your dog would be the only one happy to see you. Talk to your kid about the right ways to use the Internet. 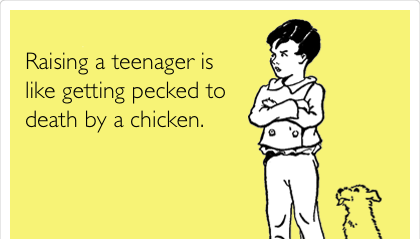 That's all about being a teenager's parent! Everyone wants to live this way. Parents have the power to put their teens on the right path. The best way to keep your children at home. 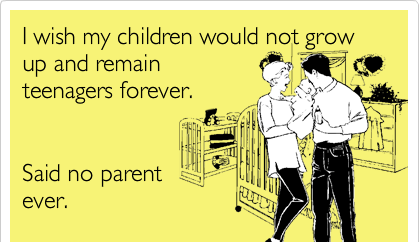 It's something every parent must do! Lolz...teens are just like their parents. Raising a teenager is next to impossible. Get well-equipped to raise them. Giving kids their space is highly recommended. Parents can never be right in the eyes of their kids. No parent can wish something like that. Lolz... On a funnier note! Hope reading these parenting teenager quotes would have made you realize that everything you do, as a parent, makes a difference. Your authority slips as your child enters his teenage. There is a lot of mind game going on.